INDIANAPOLIS (AP) — The case arrives with all the routine of a traffic citation: A baby boy, just 4 days old and exposed to heroin in his mother’s womb, is shuddering through withdrawal in intensive care, his fate now here in a shabby courthouse that hosts a parade of human misery. The parents nod off as Judge Marilyn Moores explains the legal process, and tests arrive back showing both continue to use heroin. The judge briefly chastises, a grandmother sobs, and by the time the hearing is over, yet another child is left in the arms of strangers because of his parents’ addiction. There is little surprise in any of this, for it’s become a persistent presence at Indianapolis’ juvenile court. A Monday with a heroin-dependent newborn spills into a Tuesday in which a trembling mother admits breaking her 70-day clean streak with a four-day bender. A Wednesday with two children found in a car beside a mother passed out on pills fades into a Thursday with a teen who found both his mother and grandmother overdosed on heroin. “This isn’t a trickle. This isn’t a wave. It’s a tsunami,” Moores said of a child welfare system grappling with an unprecedented crush of parental drug cases. Behind each of those cases is a child subjected to the realities of life amid addiction — of barren fridges, unwelcome visitors and parents who couldn’t be roused awake. Moores is still haunted by the story of a 2-year-old found alone at home with his father’s corpse, a needle still poking from his arm. A neighbor was drawn in by the boy’s relentless wails. By Friday, the largest pile of cases on Moores’ desk has reached a towering two feet, and she has plodded on in bureaucratic fights to get more judges, more court reporters and more mediators to deal with work in which the despair dwarfs the fleeting moments of hope. “It seems like there’s a whole generation of people disappearing,” Moores said. In Miami, a 10-year-old boy died after the painkiller fentanyl somehow found its way into his system. In Philadelphia, a library once known for its after-school programs is now such a magnet for heroin users that the staff practices overdose drills. From New York to Kentucky, schools stock the overdose antidote naloxone in the nurse’s office. “It’s been an overburdening of our system,” said Cindy Booth, executive director of Child Advocates of Marion County, which represents kids at the center of drug cases. The Associated Press delved further into the troubling numbers, examining county-level foster care statistics obtained from the National Data Archive on Child Abuse and Neglect through the end of 2015. 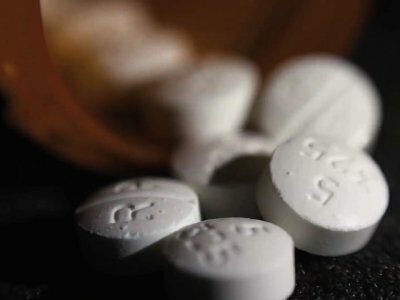 The analysis showed counties with higher levels of opioid prescribing and opioid deaths also had higher shares of foster cases linked to drugs. Last year’s county-level statistics are not yet available. Her agency has added more than 1,200 workers in four years and its budget has increased from $793 million to more than $1 billion. Keeping up with the caseload remains a challenge, though, and turnover among case managers is high. Especially maddening is the huge number of parents who can’t stay clean long enough to get their kids back or keep them. “Stuff like that is hard to look at,” she said. By the time Rachael Stark arrives at her office at 8:45 a.m., she has already been working for hours. At 2:30 a.m., it was a call seeking an emergency placement for a child. Around 4 a.m., a series of texts alerted her that an alarm went off at a foster home and police showed up. Since 8 a.m., she’s been furiously tapping away at her phone, juggling 15 foster cases. Now she’s splashed with coffee and running late for a 9 o’clock appointment when a state DCS worker calls looking for a foster family for three siblings. “I’ve got no one,” she reports somberly. The Villages is receiving 30 to 40 percent more referrals than it had been accustomed to, creating a “crisis state,” as the agency’s president, Sharon Pierce, puts it. Foster parent training sessions, once held monthly, are now weekly; advertising to attract new families has been ramped up. It takes at least three months to recruit, screen and train foster parents, but as soon as they get their state license, the need for help is so great they often receive an immediate call. “Five or 10 minutes later, that family will have two or three children placed in their home,” Pierce said. The Villages used to see about 60 percent of children return to their birth families. Today it’s around half that. So the agency turns to successful foster parents to adopt. The problem is that limits the family’s ability to take on another foster child, creating the need for even more foster homes. “So then we jump back on the treadmill,” Pierce said. The agency has added a few employees, but it’s largely up to case managers like Stark to cope with the surging workload. She crisscrosses farm-lined stretches of Grant County, about 90 miles northeast of Indianapolis, driving beside fields of corn and soybeans in the rush to make her next appointment. The county’s drug-involved foster caseload grew from nine in 2000 to 48 in 2015. It goes like this all day for Stark, a series of visits and a blur of calls and texts interrupted by sighs and talk of “imperfect solutions.” ″We just can’t keep up,” she said. Her third stop of the day is emblematic of the cases inundating the system. Two sisters, 9 and 10, landed in foster care because their mother got hooked on painkillers. There was no family to turn to, with their grandmother also addicted. The girls now live on a farm where sheep, cattle and hogs are raised, and they sit in the bed of a pickup, fussing over a carton of fluffy day-old chicks their foster father, Justin Lovell, picked up for them. When he notes, matter-of-factly, it won’t be long before the chicks reach a size fit only for “a freezer or a frying pan,” the girls’ jaws drop in comical unison. “You’re not going to fry them!” one cries. Lovell’s wife, Kristen, laments the turmoil the sisters have been through — “so many stops and starts and bumps along the way” — and that “their whole world’s changing, and it’s changed so many times already.” Her husband simply cannot fathom how someone could put drugs before family. There is no simple assessment of the impact of all of this on kids. At one extreme, there are infants born healthy who wind up in safe and loving foster homes until their birth parents get clean. At the other are children whose parents’ addictions have led to their own, who find themselves hopping from foster family to foster family, or living in a group home or a strange town. Wilson’s parents used, and she was 13 when child welfare officials removed her from her home. Now, at 26, she’s trying to beat heroin, having already lost custody of two children and given another up at birth. Despite some relapses, she’s been clean several months and is convinced she’ll be able to keep it up. The clock is ticking. Federal law dictates the loss of parental rights for those whose children have been in foster care for 15 out of the previous 22 months. Moores, the plainspoken 62-year-old who leads this division, sees a familiar expression on the faces that pass through — not just parents, but case managers and attorneys and a parade of others who’ve seen their work overtaken by pills and powders. She saw the same blank eyes during a National Guard deployment to Afghanistan, as soldiers returned to base. It is 11 p.m. on Friday now and Moores is home on her farm, clad in pajamas and awake in bed. Her phone goes off, a new crisis arrived. DCS has a boy who previously was removed from the home of his opioid-addicted mother, now needing to be taken out of the house of relatives. There are no foster families available, and the county’s emergency shelters are full. It won’t be long before the details of the case recede from a memory crowded by a thousand others. Tonight, though, it weighs on her as she tries to drift to sleep.